Here're top seven Apple Watch iOS apps that will motivate you to improve fitness and lead a healthier life. We are already three weeks into 2018 and like previous years, most people would have made their New Year resolution to get fit and embrace healthier habits. But it requires intense motivation and lesser mortals, including yours truly, find it hard to maintain that disciplined routine. 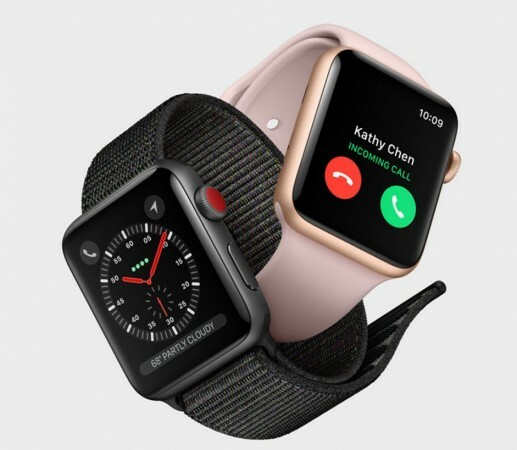 Thankfully, there are smart gadgets and apps in the market -- particularly from the house of Apple Inc. -- such as the Watch series and compatible applications that make the exercises and training fun and also informative. International Business Times India Edition, reached out to celebrity fitness experts and here's what they had to say. "Apple Watch Series 3 has built-in GPS that helps me track distance and pace, but also records the calories burnt and my heart rate. So, during my run, I know if I am working my body too hard or equally if I can push a bit further. Throughout the day, the built-in heart rate monitor records your resting heart rate, a heart rate while exercising, and the time it takes to recover post a workout such as a run. All of this data is synced automatically into the Health app on iPhone, where I also keep my dietary and sleep data," Urmi Kothari, Fitness Instructor said. Scherezade Shroff, popuplar YouTuber and fitness Blogger had this say about his new Apple Watch: "I've been training for the past 2 months. Carb loading and getting a proper night's sleep aside I listen to my body and rest adequately. The Apple Watch is a great outdoor companion. Locking onto a GPS signal usually takes seconds. It's one thing Apple has really nailed it. The gesture mode lets you raise your wrist to wake up the screen and works flawlessly. Its really easy and convenient to track duration, average pace, heart rate and distance. Post my training, on the Activity app, I can see my completed rings and can scroll down to see my tracked workout where there's a nice snapshot of those core metrics like distance and average pace. There's also a drop-down menus for splits, segments and heart rate. For most runners, including myself, that's all the essential data I need. The notifications and the badges subtly, push you to do more and maintain an active lifestyle since I spend a lot of time in front of a computer." 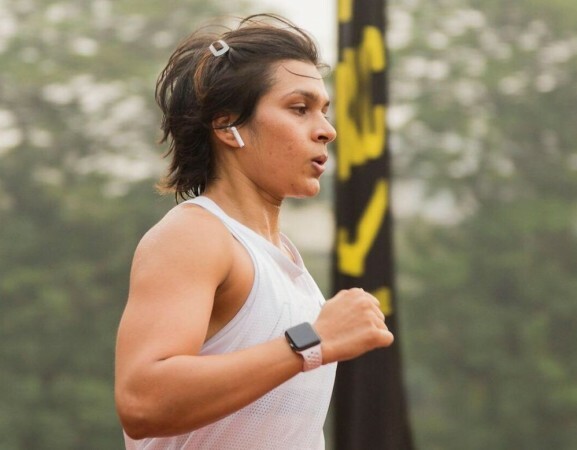 With Mumbai Marathon slated to kick-off on January 21, we thought of listing the best available Apple iPhone and Watch fitness companion apps. It supports all Apple Watch series and helps you get all the details you need—pace, distance, GPS route, elevation, heart rate, and mile splits. Real-time audio feedback will keep you on track during your run. Nike+ Run Club also offers unique guidance, motivation and inspiration directly through in-ear audio from Nike trainers as well as renowned athletes like Mo Farah and Hollywood celebrities such as Kevin Hart. It also offers option to choose from Quick start, 'Match Your Last Run' or a choice of distance, duration and speed runs, although the latter requires your iPhone. You can download the app here. This app helps user maintain inner peace and also offers guided meditation sessions for calming anxiety, stress, self esteem, breaking habits and concentration, among others. It also provides audio programmes taught by world-renowned experts exclusive to Calm. You can download Calm, here. This is an intuitive fitness tracking app that helps user make changes to diets. Just take the test on the app and it will offer personalised healthy diet plan (Ketodiet, low carb, high protein and more) developed by experts. It also comes with calorie counter (with barcode scanner foe easy food tracking), macro tracker (for daily nutrition and calories) and weight loss motivator (daily tips and feedback). You can download Lifesum app here. With this, user can track all their fitness activities - such as running, jogging, biking, hiking, skiing and walking - and monitor distance, time, speed, elevation, calories burned and more. Plus, it's fully optimized for Apple Watch. It also allows users to set long term goals for the entire year, offers audio feedback, LIVE Tracking & Cheering, option to manually add activities and Powersong, an integrated music player to give your next workout a boost. You can download Runtastic, here. It offers access to more than 3,000 online fitness coaching videos, and features such as calorie counter, GPS running tracker, running plan for 5k, 10k, half-marathon and marathon, and other fitness toolkit to help users achieve their fitness goals. What's unique about Fitso app is that it has Indian calorie counter with more 100,000 food items such Masala Dosa, Samosa and Vada Pav, among other savouries. With this, locals can keep their food intake on check. You can download Fitso, here. This unique app helps you track how much water you consume during your day to day actives from drinks such as Juice, Tea, Coffee, Energy Drinks, Sports Drinks, Beer, Wine and Liquor. With easy interface, user can log water intake details with minimum number steps and based on the body height and weight, the app will help you reach required liquid consumption level each day for better health. It also helps shed weight with fitness tracking features. You can download iHydrate, here. This is an in-house Apple Watch app and as the name suggests, it helps users take a time-out from busy office work to relax and focus on breathing. The Breathe app guides users through a series of deep breaths, and it reminds them to take time to breathe every day. 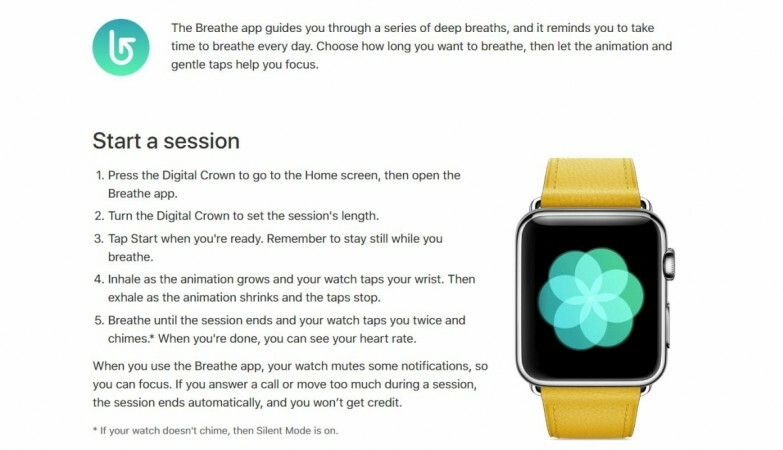 They can choose the length of the session and once activated, the Watch displays visually soothing animation and gentle taps, to help them focus. • I'll Hydrate and fuel well. • Keep muscles nimble by stretching and doing short runs. • Do core, balance and mobility exercises for 6-7 min before the race to warm up the smaller muscles. • I'll customise the Workout app's display so I don't have to fiddle with the watch while running. • And most importantly, just have fun! Stay tuned. Follow us @IBTimesIN_Tech on Twitter for the latest news on Apple products and more.